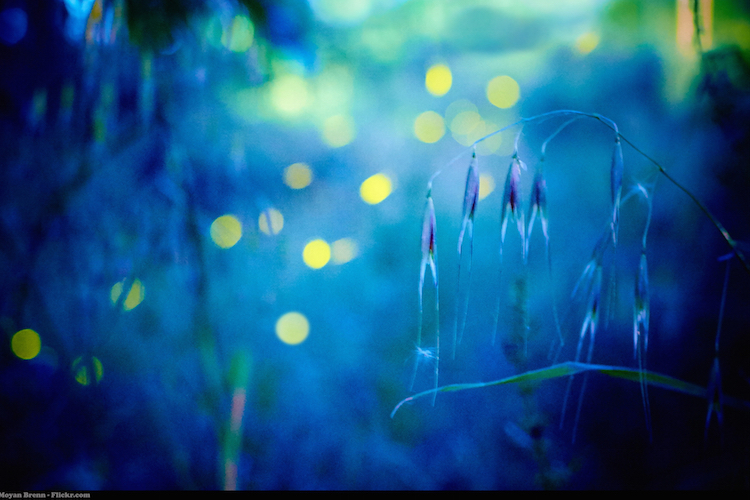 Image Credit: Moyan Brenn, "fireflies"
I am new to DC this summer. I don’t know many people. I don’t know how I feel about the desk job that brought me here just after grad school out West. I don’t know if I made the right choice, trading the rain shadow of the Rockies for the muggy Mid-Atlantic. There is a lot I don’t know in DC. What I get to know is the night. At night I walk. I counter eight hours of sitting in a cubicle with miles and miles of steps through the neighborhoods of Northwest DC. I go alone. When I start, the western sky still blushes creamy sunset. From the sidewalk, my ankles brush pockets of cool air welled by lawns. Greater coolness flows from the forested lots, their layers of shadow ever deepening. American sycamore, littleleaf linden, eastern white pine, sugar maple, swamp white oak: the trees of my walks seem to give birth to night. The darkness falls not on them but rises from them, seeping out over the grass and streets, out to the skin of my legs and arms and neck—out, out, and up, up to ink the pale young night sky. Darkness is drenched with the sweet syrup of magnolias, parted by headlights, pocked by the sparks of fireflies—flare, fade, flare, fade. Cars woosh. Accelerating busses whine. Under traffic’s noise the air throbs. Crickets stud and chime. Cicadas bounce toward long crescendos: tsssss-tss-tss-tss-tss-tss-tss-tss-ss-tsssssssss. I make my confessions to the night. I came here for a job alone. But a job does not make a home. A job does not teach me to belong. Sometimes near a patch of trees I want to step off the sidewalk and disappear in the tussling leaves. I want to bring my body to the ground, feel the hard grit of earth on my skin, the tickle of ants crawling over the small hairs of my arms and legs. 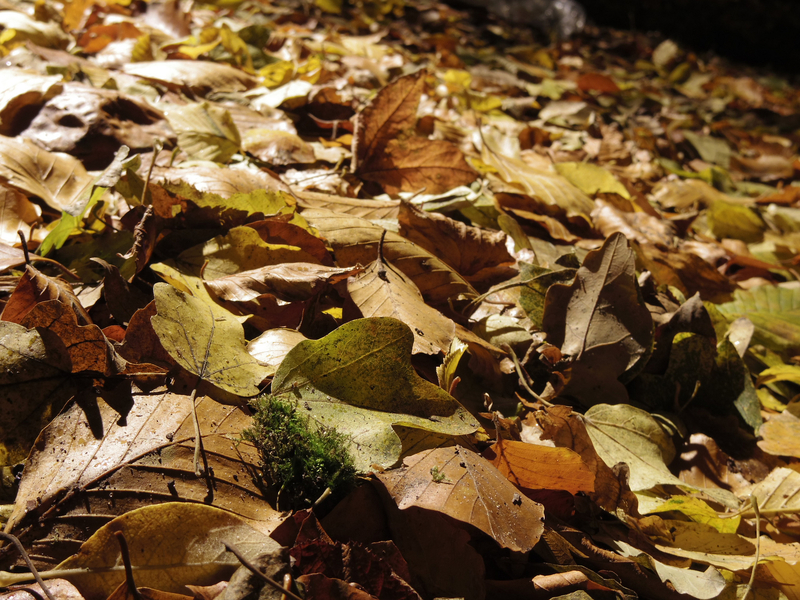 I want to slip and sink into the floor of old wet leaves, musty and rich, falling to pieces beneath me. My fingers and toes will part the damp earth, will ask the trees for their wisdom: How did you decide you belong here? How did you know where to root? I am grateful for the compassion of the night. Darkness requires no poker face. I am grateful for the companionship of the night. Humidity is soft and clutching. My clothes cling. My hair soaks. My face weeps. On the return, I stop on the patch of lawn in front of my apartment. I remove my shoes and socks and lie down beside a woody knob in the grass, the exposed root of a scarlet oak. I look up. Above me leaves shuffle, white bands from passing headlights skating across their undersides. Satellites cruise. Airplanes blink. A few stars glow. The grass itches, soft and cool, against the skin of my arms and legs, under the soles of my bare feet. Above me the leaves keep swimming around limbs, and under their motion I feel the comfort of lying steady. I am still in this night on this ground, even if yesterday I was elsewhere and tomorrow I will also be. Someday I will part with my job, with DC, with thick summer. 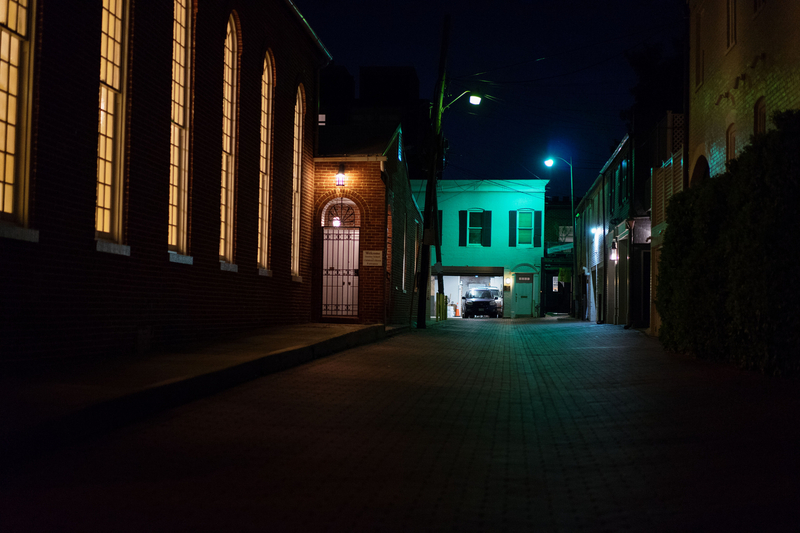 I will hold close my night walks, night walks, night walks. Lauren Koshere's writing has appeared in High Country News, ISLE, and others. She is a graduate of St. Catherine University and the University of Montana. Find more at LaurenKoshere.com.